In present day Salem, Massachusetts, the past still haunts every nook and cranny of the town. Years after a triple homicide known as “The Goddess Murders”, the thought-to-be murderer strikes again. Years before, beloved Salem historian Rose Whelan was accused of the crime, but with limited evidence, was never charged. This time, officer John Rafferty will have to work harder than ever again the town -and a darker force- to keep Rose from being blamed, yet again. The Fifth Petal is the sequel to The Lace Reader, which was released a handful of years ago, and even though we are reunited with several characters we already knew, because of the large time gap between both novels, some readers are complaining of not remembering much of the previous story and plot. I found this story to not be very interesting, which was a let-down, because I loved the cover so much and the premise sounded so interesting. I didn’t appreciate the pace of the book, even though it started out on a fast note, it quickly slowed down. However, this would be a wonderful book to read around Halloween, if you are into that. I thought that the character’s voices were very clear and understandable, and the book as a whole was interesting. I guess I have mixed feelings regarding it. I would recommend for you to decide for yourself. I was given this book in exchange for my honest review from Blogging for Books. All opinions stated above are my own. Placidia is only 17 years old when she agrees to marry Major Hockaday, whom she only just met the day before. They spend two days together before the Major is called back into the throes of the Civil War, and it is years before Placidia sees her husband again. During his absence, she faces the trials of running a farm, managing slaves, defending herself from roaming marauders, taking care of the Major’s young son from a previous marriage, and a very tragic event that lands her in jail and facing the gallows. 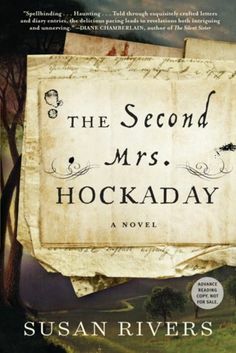 Add in the colorful texture of southern life during the Civil War, social and unexpected alike, this was a sweeping read that found me tangled between the pages. How their love not only survived the woes of war and the absence of eachother’s company, plus a betrayal that makes one wonder how each did not just curl up and die from the weight of it, is strongly compelling. I found their marriage to be so real, in the fact of loving and living in the midst of intense heartbreak in an evil world. I have to say that I loved this book so much. I found myself staying up all night to read it, no lie. I was so captivated by not just each characters unique view and story, but by the writing itself. I felt as if I truly was reading letters penned during the 1800s, so vivid were they. I enjoyed every aspect of this book, and cannot wait to read more from this author. An Indie Next pick for January 2017 – one of 20 books chosen by booksellers across the country! A Library Reads Pick for January 2017 – one of 10 books chosen by library staffers across the country! An Okra Pick for Winter 2017 — one of 12 books chosen by southern independent booksellers! I was given this book in exchange of my honest review. All opinions stated above are my own. It has been six years since Lt. Ryan Gallagher broke nurse Jenny Bennett’s heart with a cold and mysterious letter. Now he’s back in the States and has brought a child back with him. His child. Jenny is now faced with her broken heart every day plus the evidence of Ryan’s unfaithfulness, but is everything really as it seems? Lt. Gallagher has been on special assignment in Japan for the last six years, and upon his return he is faced with nasty rumors of deserting and no friends or family by his side. He is also face to face with his beloved Jenny, and only hopes of rekindling their love that he had to break off for his country. Now the US Government has Ryan on a top secret special assignment that could change the outcome of wars to come. Ryan and Jenny find themselves having to work together and face unimaginable circumstances that will test their loyalty to their country, and ultimately, their love. I found this book to be incredibly unique and intriguing. There are a few mysteries surrounding not just Lt. Gallagher, but also Jenny herself, which offered deep character development that I appreciated. Through Camden’s writing, I was able to feel sympathy for both Jenny’s heartbreak and Ryan’s as well, which offered a great dynamic to the story as I fought against my own feelings toward each character. Although the characters were Christ-followers, they each still struggle with their own sins, which I found to be refreshing. So many Christian characters are portrayed to be perfect, and that was not the case in this book. The one complaint I have for this book is the fact that I couldn’t grasp the time period. I kept having to remind myself that the book is set in the early 1900s, and not 1950s. This was due not just to a lack of period details, but also within the minds of the characters themselves. Jenny, in particular, did not act nor think like a proper woman of the 1900s would. She does things in the story that contradict her eagerness to show herself proper to others, like being alone with men, speaking her mind outright, and suddenly kissing Ryan without thinking twice about it. Also, the world building was lacking detail that would let me know what time era the characters were in. Because of this, I give this book 3 out of 5 stars. 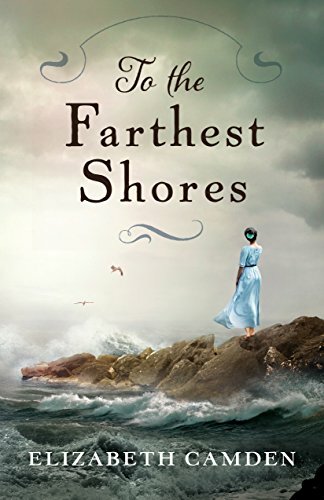 To The Farthest Shores comes out on February 28th, 2017 from Bethany House Publishers. I was given this book in exchange for my honest review. All opinions stated here are my own.